As soon as I was married, there was such a strong desire in me to have a baby girl. I had all the names picked out…even saved some of my old childhood dolls to display in her nursery. About 2 years later, I gave birth to my first-born son, Justus Cole. And then 2 years after that, I gave birth to my second-born son, Judah Christopher. Two boys! TWO BOYS! To say I was scared was an understatement. I grew up with two sisters. Our lives were overwhelmed with Barbies, dolls, playing dress up, curling our hair, Anne of Green Gables….you get the point. So raising boys was (still is) foreign to me. I remember the first time I played cars with Justus. Chris came over to me and said, “What is that noise coming out of your mouth?” Confidently I replied, “It’s my car sounds, you know, VROOM, VROOM!” All he could do was shake his head and asked me for my car so he could show me how it was done. Even though I’ve had just a half decade experience in raising little boys, Justus and Judah still tell me (after I’ve pitched a ball to them about 45 times), “Mom, you’re not doing it right! Just let Daddy do it.” And I can’t blame them. I’m a girlie-girl. I throw like a girl. Catch like a girl. Cover my face and scream when someone jumps out at me. And that’s who I am. I still have a long way to go on my journey. I’m sure there will be many “girlie mistakes” coming from my direction, but I look forward to what God has to show me. Though the process has been scary at times (white-knuckle-clenching-scary), I wouldn’t trade it for anything! Justus and Judah are my true delight everyday and I love watching God transform them into the boys/men that Jesus created them to be. I couldn’t believe it. I was being asked to give up something that was so precious to me… another baby. Possibly a baby girl. As I sat there having just heard those shocking words, I felt the Lord urging me lay “her” down. To lay my next baby down at His feet. To give up the longing in my heart for another child created such a barrenness within me. I think I ran from it for some time. But ultimately, I knew what I needed to do. So we made a vow to the Lord that we would stay on birth control (ahem) and wait to have our 3rd baby. For many days and nights my eyes were far from dry…my insides were bursting with mixed emotions. Oh so badly did I want a little girl…oh so badly did I want to bring another child into this world! But doing so would mean that I was being disobedient to the Lord’s call on my life. So for the next year we waited. I would come to the Lord every month and hope to hear His voice saying it was time. But every month there was no release. In fact, the call He gave me to raise up supernatural girls just got stronger and stronger every time I came to Him. So I did what I needed to do. I wiped away quite a collection of tears and put my hands to the plow to move forward in His call. During this season, one of the greatest words of wisdom came to me. One day while folding clothes, I decided to multi-task (☺) and turned on Pastor Bobbie Houston. It only took a couple minutes for me to put down my laundry and focus in on what she was saying. It was as if she was speaking right to me…..like she was sitting in my living room, encouraging me. At that moment, I had a God-thought. “Email her” said the Lord. “Tell her how her obedience has impacted your life today.” I quickly dismissed the thought. “I don’t have her email” I said back to God. And “who am I to email her?” You won’t believe what happened next. Pastor Bobbie began to read an email that someone had sent her weeks ago. She read the email and then paused for a second. She then said, “My email address is bobbie.houston@hillsong.com if you would like to email me, I would love it!” I was stunned. I knew then that I needed to email her. So I did….expecting no response. Two weeks went by and then there it was. An email from Pastor Bobbie Houston. She had responded. And when I opened it, it wasn’t just a generic email that she sends to reply to all who contact her. No…she had read my email and responded genuinely. In that email was the wisdom that nourished my aching heart. Take one day at a time and allow Him to lead you always – in the meantime, love those little boys and husband and be faithful with what is in your hand. Do that and God will take care of the rest. “Be faithful with what is in your hand….and God will take care of the rest.” That was it. I can try to be all things to all people, and do a fantabulous job at it. But in the end, who ends up suffering? Me. Plain ol’ me. But if I just focus on what’s in my hand…what fits in my hand…that’s my calling. That’s His will. When I turn my hand over and spread it out, it’s not that big. How much can fit? Not a lot…Exactly! Just enough to keep us moving forward but not too much where we’d lose sight of our dependence on God. And so 7 more months go by…. It was in the month of October. I was sitting in the back of the sanctuary during a prayer mtg. I heard God say, “December is the month.” I broke. God had remembered. He hadn’t forgotten our vow. And December 10 is when I got pregnant. We found out I was pregnant just a couple days before Christmas. Best Christmas gift ever! Think about it. During a season where we should be celebrating and giving gifts to God’s Son, He gave Chris and I a gift of our very own. A child. And not just a child, a daughter. His daughter. Our daughter. My daughter. How precious and amazing is God’s love for us? Too good. I would’ve been thrilled to have another boy (really, I’m serious ☺) but God knew the desire deep down in my heart. The desire for a little girl. We have chosen to name our little girl Isabella Grace. Isabella because it means a vow to the Lord and Grace because it is what has carried us through the last 2 years of waiting. 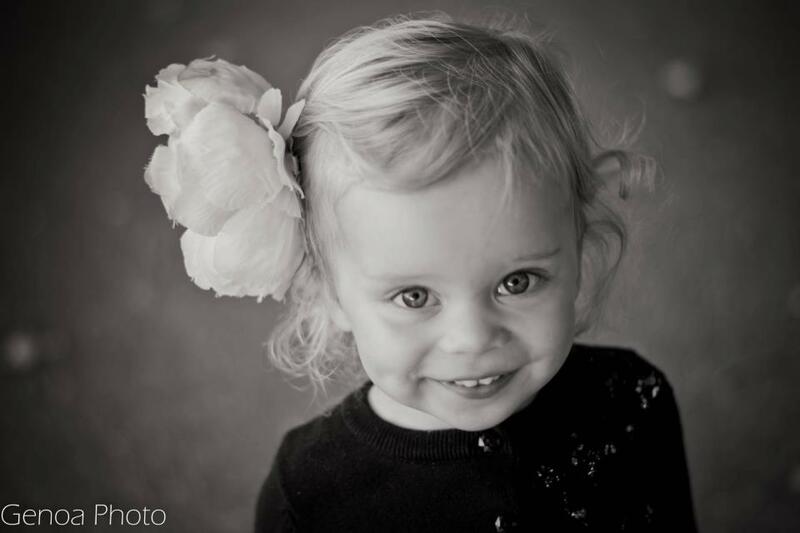 My prayer for Izzy-girl is that she would somehow grow up knowing that she is a chosen daughter of our precious Lord. I am forever indebted and honored that He chose me to be her Mama. Even as I write this, tears won’t stop flowing. But I welcome those tears. Because they are a reminder that I am still very, very close to my Gift Giver. As a mum of one, a little girl – its really is a pink, lovely world and I love it. Good luck with your journey.